Growing up I was surrounded by people who created. My mom sewed clothing and crocheted doilies, especially with fine thread. My sister and I both learned to sew, knit, crochet and embroider. My grandmother did tatting. My aunt had stacks of magazines that I loved looking through while visiting. None of my immediate family were quilters. School trips were supervised by mothers who often brought along their own handwork while they waited for us to learn or do whatever it was that we were doing at the time. 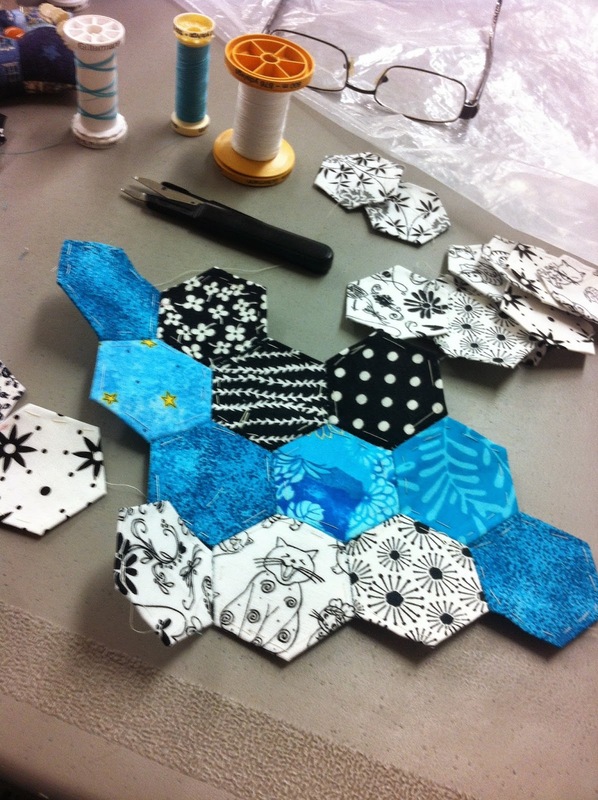 One mom in particular would bring her hand-stitched fabric hexagons that she turned into beautiful tea cozies for church bazaars or wedding shower gifts. Another mom made beautiful rag dolls. A neighbour I babysat for had a basket filled with quilting magazines that I would page through rather than watch TV. Stories about the wild west and life of the early settlers fired a desire in me for learning to quilt. 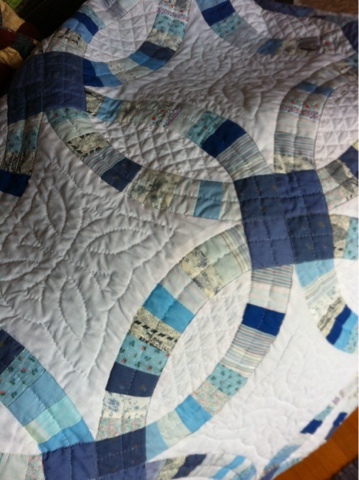 My first quilt was made with my mom with clothing from my Oma. Just a plain charm square quilt filled with memories. I don't know what ever happened to that quilt - it likely ended up as a picnic blanket and used until it was thread bare. 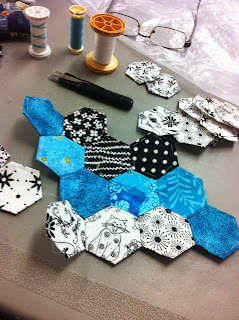 Quilting took a backseat until I was married and expecting a baby. My first quilt made on my own was made from squares of embroidered animals alternating with solid red and blue squares. It was used for both my first and second sons and fell apart somewhere along the way from much use and washing. My next quilt was an ambitious double wedding ring quilt made from leftovers from my sewing basket and scraps I scavenged from my mom & sisters. This quilt was entirely sewn and quilted by hand. I learned that I needed to think about better sources of fabric if I wanted to keep quilting as the poly cotton pieces I used disintegrated rather quickly.